Here’s a couple of shell studies started in VB and finished up in LC. 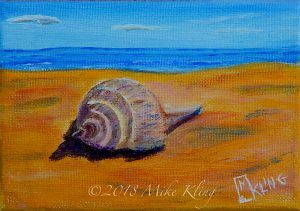 This shell was done in the Studio with the Beach added from imagination. 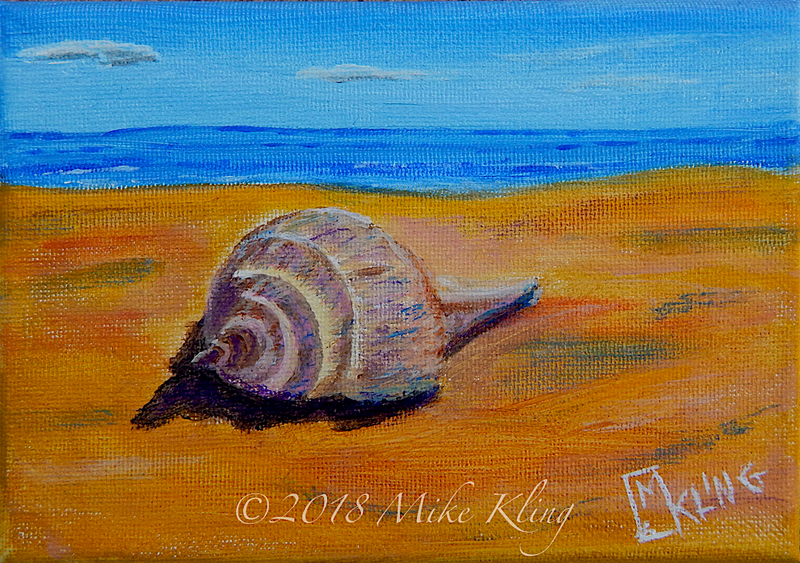 “Beach Shell”, acrylics on 5×7″ stretched canvas. I set the shell up in a box with single point lighting and treated it as a Still Life. 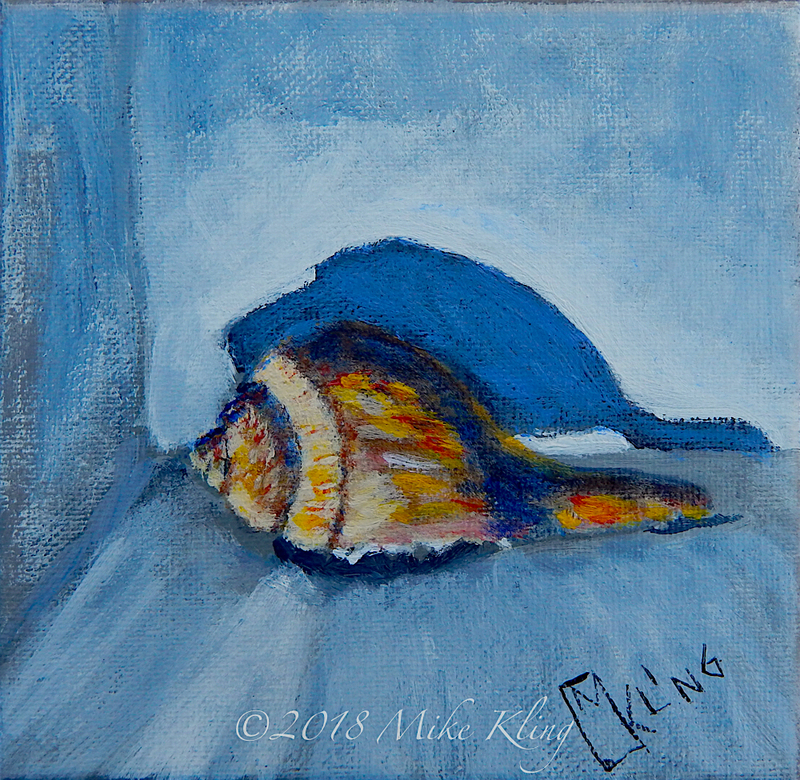 “Studio Shell”, acrylics on 6×6″ stretched canvas.